Core strengthening for kids continues to be one of the top search terms people use to find their way to The Inspired Treehouse. Here are some of our favorite everyday core strengthening ideas. 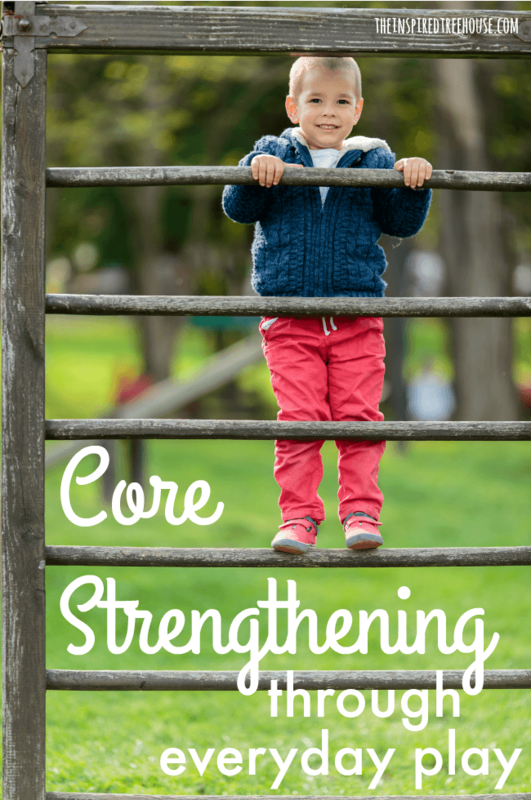 As pediatric therapists, we are all about core strength! 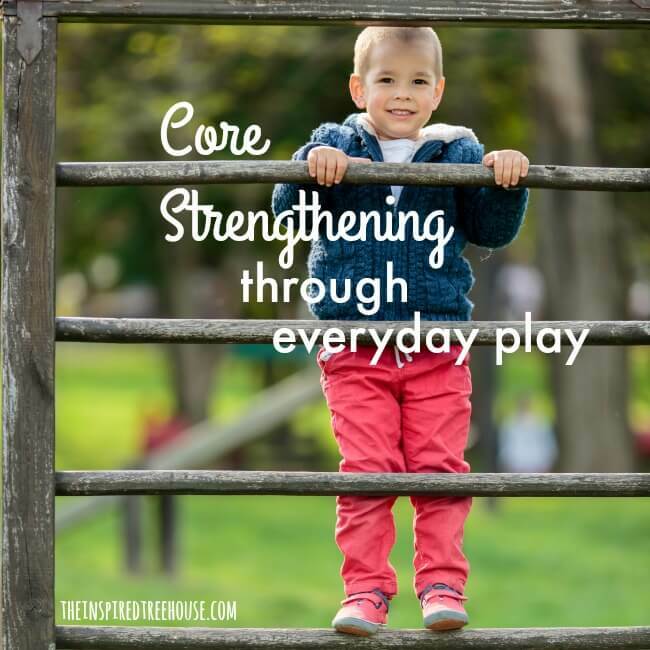 We have written about why core strengthening is so important for kids, we’ve featured great toys and games that promote core strength, and we’ve even showed off some super creative homemade ways to strengthen the core. But what if we told you that there are also lots of easy ways to strengthen the core through simple play at home? We’re talking about all of the fun stuff your kids might already be doing that really target those core muscles and make them strong. But first, let’s get a refresher about why strong tummy, back, and pelvic muscles are so crucial. Picking up objects from the floor. Do you know that you can’t squat down to retrieve an object from the floor without engaging your core muscles? Yep, it’s true. 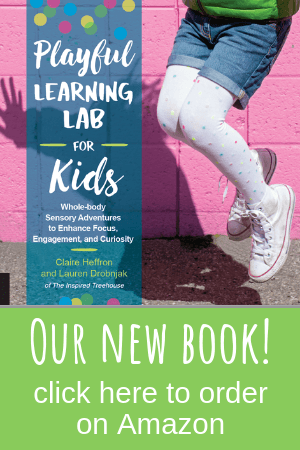 Whether kids are competing in a relay race where they have to retrieve an object from the ground and return it to a container…or just cleaning up toys in the living room, they’re strengthening their core! Climbing up a slide or climbing on other playground equipment. I know, I know…not everyone likes this one because of safety, but hear me out. Climbing up the slide rocks for so many areas of motor and sensory development, including helping to form a strong middle! Check out some more of our other playground rule-breaking ideas here! Or – for an extra core challenge – try rolling UP the hill! Any rolling at all is just plain old kid fun and great for core strengthening. Kids can help bring groceries in from the car or take out the garbage – or make it even more fun – can they use a sheet to make a swing with two friends (two to hold the ends and one friend in the middle)? Pushing a chair out of the way to sweep after dinner, pulling a heavy laundry basket across the room to move it out of the way, pushing a sibling or friend (or stuffed animal!) in a stroller or pulling them in a wagon. Give your child a section of the floor to scrub squeaky clean! They will love the responsibility and they will get a hefty dose of core work. Playing in an all fours position also works – try doing a puzzle or playing a board game in this position. Climbing the stairs on all fours. My kids love to race up the stairs this way – little do they know that they’re also getting a great core workout! Check out these chores for kids for some other great ideas to keep your child helping around the house while strengthening their core! 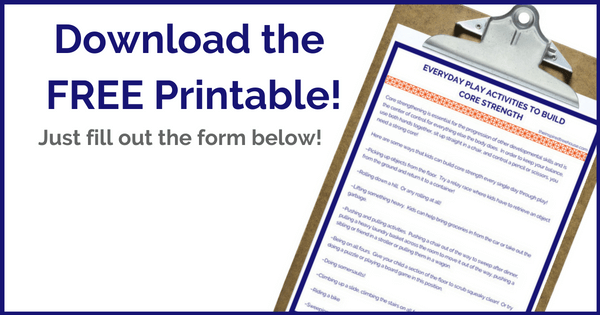 The Core Strengthening Handbook is an awesome resource full of more than 50 activities to help kids develop strong core muscles. Get your copy now! I like your emphasis on the core as a key component of balance, coordination and endurance. However, it would be great if we expanded our conversations regarding the core muscles to include the differentiation between the inner core muscle team and the outer core muscle groups. When children are having difficulty with any of the activities listed above, they will hold their breath in order to stabilize their trunk. Given that the diaphragm is a first-responder of the inner core team, any activity that occurs with breath holding is then, not a core activity. So one of the first things we can integrate into activities is breathing, singing or talking. There’s more on our current understanding of the core here http://heartspacept.com/blog/a-new-operating-system/. Thanks for keeping core stability in the limelight! Hi Shelley! Thank you for your comment! We COMPLETELY agree. We did emphasize the importance of breathing in our other core strengthening post that can be found here: https://theinspiredtreehouse.com/child-development-core-strengthening-for-kids/. We will be sure to edit the most recent post to include your suggestions of singing, breathing and talking to ensure integration of all of the core musculature. And, we will be sure to check out your link above! 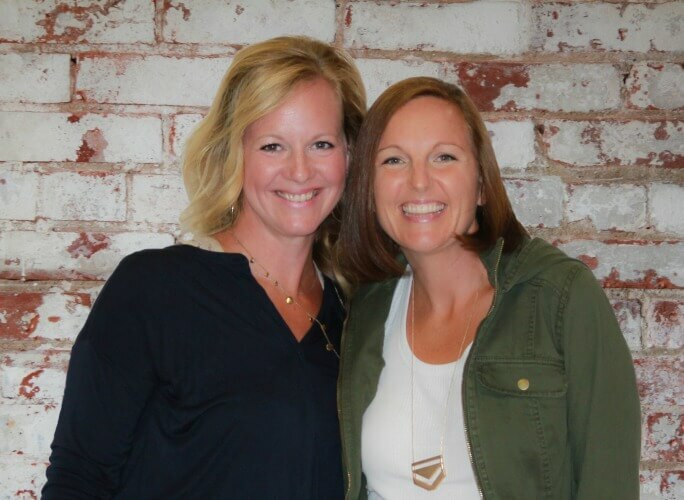 We love having fellow therapists weight in with their experiences and expertise so, again, THANK YOU! So many fun ways to get kids moving and strengthening those core muscles! My daughter has always been a climber. I”m working on getting her brother to do more climbing, and those slides are perfect! I never thought ab out how climbing on all fours could help, too. I see stair races in our future! I work for a non-profit center for people with Down syndrome. 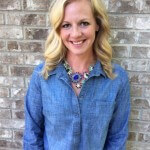 Would I be able to share your tips on our facebook page?